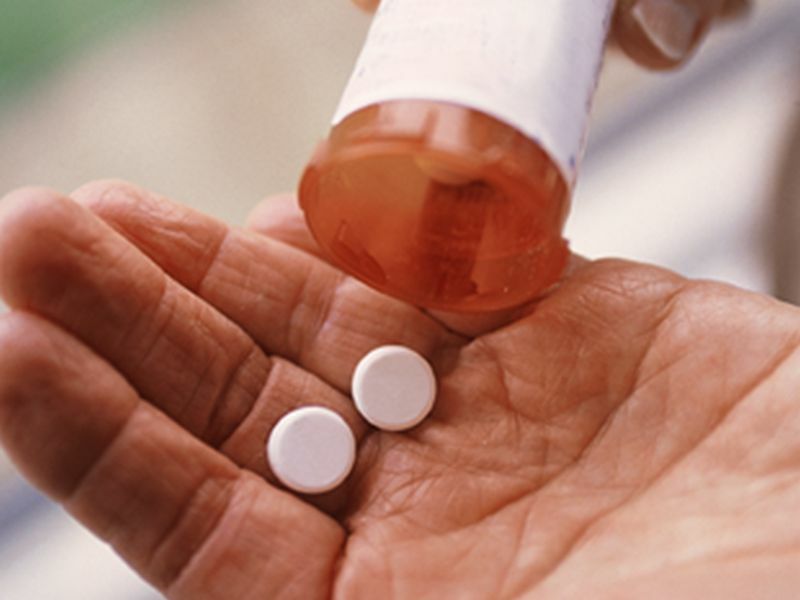 MONDAY, July 11, 2016 (HealthDay News) -- After knee surgery and other common operations, patients have an elevated risk of growing dependent on opioid painkillers, a new study finds. These prescription painkillers include hydrocodone (Vycodin, Lortab), oxycodone (OxyContin) and fentanyl, the narcotic implicated in the April 21 death of rock legend Prince. "For a lot of surgeries there is a higher chance of getting hooked on painkillers," said study author Dr. Eric Sun, an instructor at Stanford University School of Medicine, in Palo Alto, Calif. But Sun cautioned that the finding isn't a reason to avoid surgery. "The message isn't that you shouldn't have surgery," said Sun. "Rather, there are things that anesthesiologists can do to reduce the risk by finding other ways of controlling the pain and using replacements for opioids when possible." For the study, the researchers examined medical claims of patients following 11 common surgical procedures from 2001-2013. They compared claims from nearly 642,000 privately insured surgical patients, aged 18 to 64, with those of 18 million nonsurgical patients. Patients defined as chronic opioid users filled 10 or more prescriptions or got more than a 120-day supply in the first year after the operation, excluding the first three months post-surgery. Knee surgery patients were about five times more likely to become chronic opioid users compared to patients who didn't undergo surgery, the study found. Gall bladder patients also had a high rate: They were 3.5 times more likely to become chronic opioid users. "We also found an increased risk among women following cesarean section, which was somewhat concerning since it is a very common procedure," Sun said. For these women, the rate was 28 percent higher. When possible, Sun prefers to use regional anesthetics to reduce the need for opioids following surgery, he said in a journal news release. He also encourages use of pain-management alternatives such as Tylenol after surgery.